One person was injured in a new rockfall that occurred at Yosemite’s "El Capitan" monolith on Thursday, a day after a similar slab fell from the cliff face and killed one person and injured another, park officials said. The rockfall at 3:21 p.m. local time (6:21 p.m.) was "significantly larger" than the one that occurred Wednesday, but was in the same area, park officials said in a statement. The person who was injured was transported by helicopter for treatment. The man’s wife told a reporter for NBC affiliate KSEE that he suffered a fractured skull. 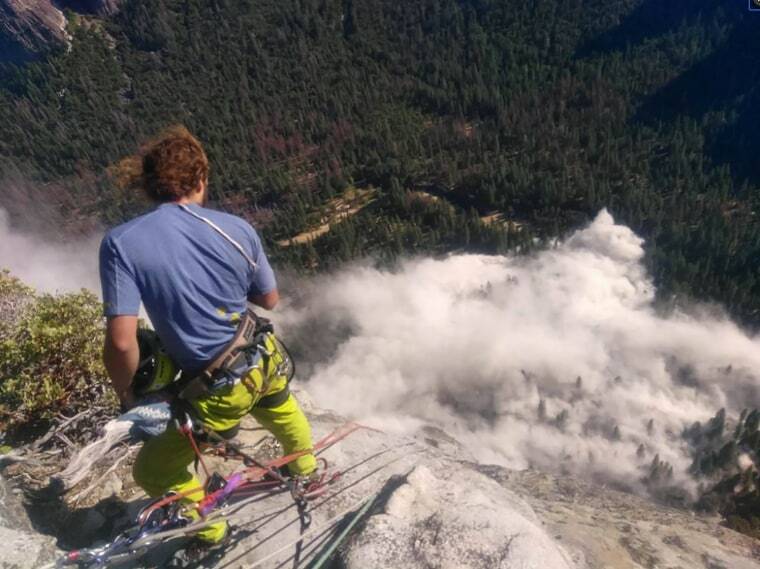 A climber on El Capitan, Peter Zabrok, said in a video showing the aftermath that Thursday's rockfall was "a full order of magnitude bigger" than the deadly one that occurred Wednesday. "We felt the entire mass of El Capitan shaking under our feet," Zabrok said in a phone interview. "We wondered if the full face of the rock we were standing on was going to collapse," he said. On Wednesday, a sheet of rock estimated to be 130 feet tall, 65 feet wide and between 3 and 10 feet thick broke off of the face of the more than 3,000-foot-tall granite monolith during a series of rockfalls that began at 1:52 p.m., the park said. In that rock slide, Andrew Foster, 32, of Wales, was killed and his wife remained at a hospital for treatment Thursday, the park service said. Before Wednesday’s incident, the last person killed in a rockfall at Yosemite National Park was on June 13, 1999, when climber Peter Terbush was killed in a rockfall from Glacier Point. In all 16 people have been killed from rockfalls at the park since records began being kept in 1857, the park service said. It is currently climbing season in Yosemite, the park said.